I have very curly rather short and thinning hair. The thinning part came from dieting and not compensating properly. 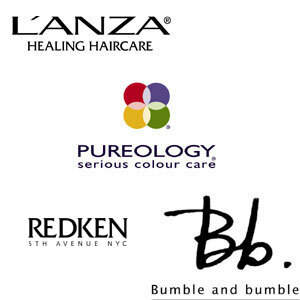 I HIGHLY recommend the Bumble & Bumble Density Therapy line. It's worth every penney! It's a little drying (and I have dry hair) so I put Pureology conditioner on my hair before I shampoo and then carefully work the shampoo up underneath the conditioner to scrub the scalp only. Then I condition and usually add some L'Anza trauma treatment at the end. I always scrunch in product (Redken Crystal Curls) and let it dry or use a diffuser and then scrunch a clear gel at the end instead of hairspray if I have flyaways.